Political science is one of the important branches of social sciences. It is concerned with the study of man in the process of governing himself and also with the subject of man in relation to the phenomenon of rule, control, authority, power. 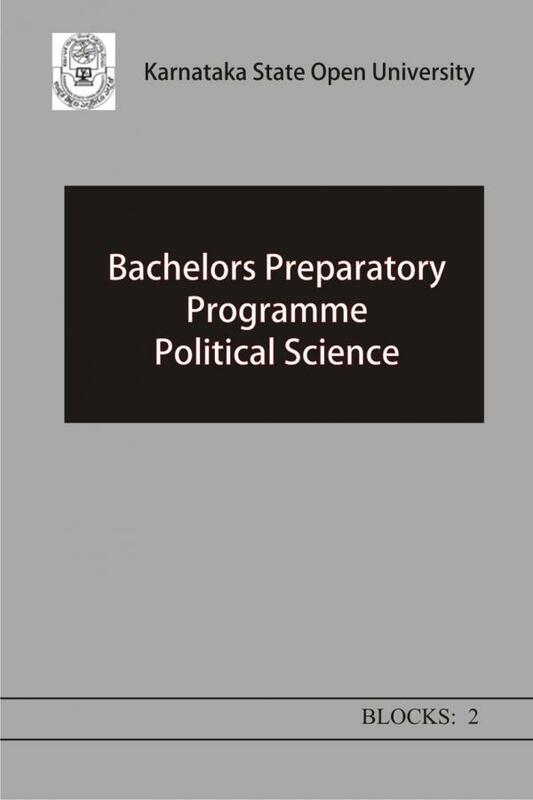 It is in this perspective, the significance of the study of the subject political science has gained importance today. The state is the central subject of study of political science. Therefore. it becomes imperative to comprehend the clear understanding of what is meant by the term state, its nature and components which constitute the organised political society. Democratic Socialism is a 20th century concept. It is comparatively a recent idea, It stands between democracy and socialism. It implies a socialistic pattern of'society where dignity of individual is reconciled with justice. Constitutional rules establish, and regulate the whole basic frame work of a government. They prescribe the matters with which the government may deal the agencies authorized to deal with them, the procedures which these agencies must follow, and the processes by which the number of various agencies are selected. Government is an agency of the state; through which the will of the state is formulated, expressed and realized. However, its organisation can be viewed either territorially, that is, government at the national, regional and local levels, or functionally, i.e, different organs connected with the enactment, implementation and enforcement of the law of the land. A Local Government may be defined as that authority where the inhabitants of a locality through elected representatives discharge the power and duties within that area. For this purpose this authority has been invested with sufficient powers by the parliament. As the modem states vexed with intricate problems of varying nature, they can hardly do justice for the local problems.